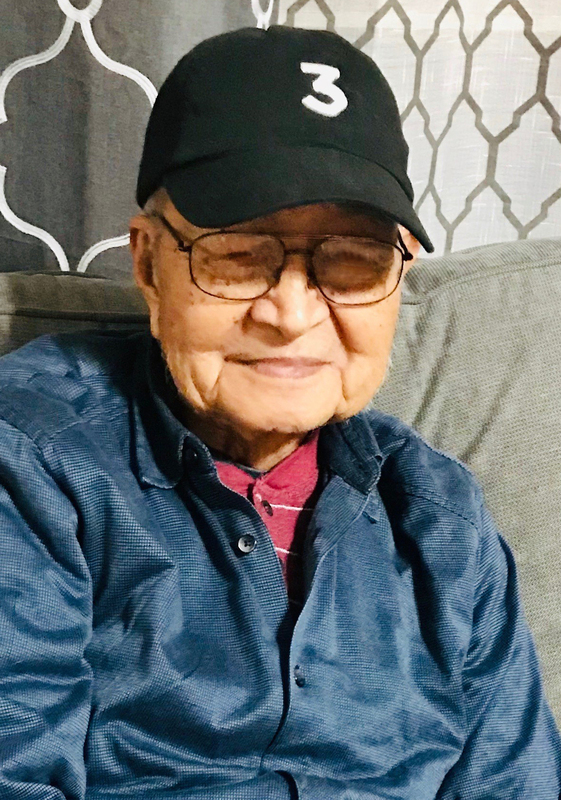 Juan Bautista Tanyag, age 86, passed away peacefully surrounded by his family, Friday, February 1, 2019 at Mercy Medical Center in Des Moines, Iowa. Juan was born October 4, 1932 in Matala, Ibaan, Batangas, Philippines to Mauricio and Anelia (Bautista) Tanyag. He attended grade school at San Agustin Elementary School. Juan owned a sugar plantation and worked on the weekends as a merchant who sold Ibaan products in Manila before migrating to Des Moines Iowa in 1985. He worked in the food services at Dobbs House International (Des Moines International Airport) and retired in 2000. After retirement, he travelled with his wife back and forth between Des Moines, New York, and the Philippines to visit family. Juan enjoyed shopping and watching teleserye (Filipino soap operas). He loved shopping designer brand names especially Eddie Bauer and Aeropostale. He loved to drive his owner Jeep (Military type) in the Philippines. He was a man of few words and was always smiling. He loved family very much and was always willing to help others. Juan is survived by his wife of 66 years, Carmen; children, Josie, Emma (Alex), daughter-in-law Daisy, Larry (Belen), daughter-in-law, Nore, Edwin (Tanya); grandchildren, Jeffrey (Amber), Jenny (John), Wilbert (Myra), Lister (Kristine), Karen (JR), Wilson (Angel), Lesette (Greg), Darryl, Coleen, Danica, Wallie, Lemuel, Dave, and Victoria; great-grandchildren, Matthea, Sofia, Miles, Frannie, Zymon, James and Benjamin III; sibling, Juliana Tanyag Valdez; as well as many nieces, nephews, and other extended family and friends. Juan was preceded in death by his parents Mauricio and Anelia; siblings, Nicacio, Domingo, Miguela, Anastacia, Elena, Daniela, and Teofila; sons, Mario, Narciso, Willie, Jose; daughter, Neri; and son-in-law, Jim Siasoco. Visitation will be held from 4:00 to 8:00 p.m., with a Rosary at 7:00 p.m., Monday, February 4, 2019, at Hamilton’s Funeral Home, 605 Lyon Street, Des Moines. Mass of Christian Burial will begin at 10:00 a.m., Tuesday, February 5, 2019, at St. Joseph Catholic Church, 3300 Easton Blvd, Des Moines. His body will be laid to rest at St. Mary’s Ibaan Memorial Park in Ibaan, Batangas, Philippines at a later date. Memorial contributions may be directed to the family in memory of Juan.